Steel Lines is the distinguished Carbon Steel Socket Weld Pipe Fittings Manufacturers, Exporters and Suppliers in Vadodara (Gujarat). We offer superior quality Carbon Steel Socket Weld Pipe Fittings that are specially designed using high-end technology, in order to meet the set quality standards. These Carbon Steel Socket Weld Pipe Fittings are not only durable but are also dimensionally accurate and seamlessly finished. Their excellent tensile strength as well as corrosion resistance makes them a dependable choice for many industrial applications. 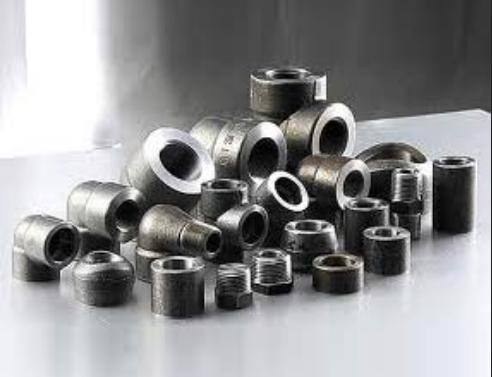 We also customize the Carbon Steel Socket Weld Pipe Fittings in varied specifications as per the requirements of the clients. SagarDeep Alloys Pvt. Ltd. is the umbrella brand of Sagar Metals, established in 1972 and promoted by Mr. A. S. Mehta. With over 35 years of experience in the Indian market, SagarDeep Alloys is the most trusted and reputed suppliers of alloys consumables, Copper pipes and tubes, Copper flats, Copper coils, Copper rods, Copper anodes, Copper nuggets and Copper plates, Stainless Steel sheets/ coils, rods, pipes and tubes, Seamless pipes, Sheets, as well as Copper & Brass scrap in India and all over the world. Our astounding production unit (Yard) is well equipped with cutting edge technology and modern machinery for high quality products. The persistent efforts of our dedicated and skilled team of workers, technicians and professionals have contributed to the success and increase the popularity of our company. Working with internationally renowned companies from USA, UK, Korea and Europe has enabled our company to exhibit the traits of international class quality, precise adherence to global standards and maintaining of a thorough and constant update on latest developments in the stainless steel technology. This is given us an edge over our competitors from the stainless steel industry. Our major focus is on the import of Stainless Steel Pipes, Seamless Pipes, Welded Pipes, Tubes, Sheets, Coils, Plates, Welding Electrodes and other similar products. We put in our sincere and concentrated efforts towards building a sustainable environment. Development and Success for us always has a greener environment quotient to it and it is underlined by our completely recyclable Stainless Steel Products.